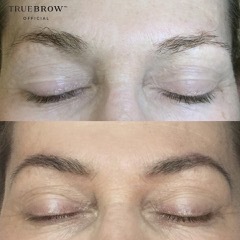 the TrueBrow™ promise women have grown to love and because we understand each brow is unique – the TrueBrow™ Program is the fastest way to brow beauty. No woman should have to wait for the perfect brow confidence. We started our master journey with Brow Secrets International in May 2017 to ensure that Serenity at the Avenue is amongst the best in the world. Theresa and I are committed and dedicated to ongoing brow education every week. To the amazing Elle Wilson, founder of BSI, your vision, dedication and total passion in educating the beauty world to achieve naturally soft, flowing eyebrows through restoration is just so exceptional and something we are very proud to be a part of. Begin with a complimentary TrueBrow™ Discovery session. Brows will be assessed to determine whether they require correction, transformation or restoration. The foundation for the future of your brow potential will begin. With meticulous care and vision with the TrueBrow™ Specialist who will transform your brows. Includes tinting and application of the TrueBrow™ Collection. Where brow design or restoration is maintained in fortnightly/triweekly appointment. 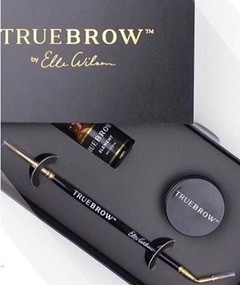 Includes tinting and application of the TrueBrow Collection.